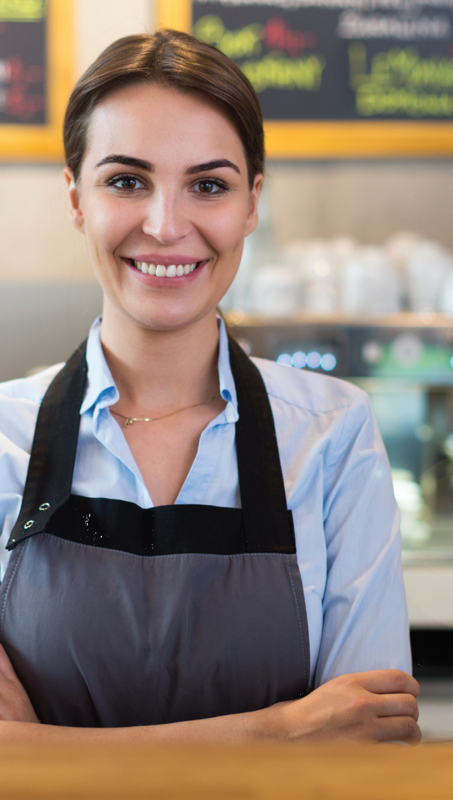 From convenience stores to restaurants, business owners who operate retail spaces must offer a safe environment for both customers and employees. There is a lot to consider, but you can rest easy knowing MMG Insurance has your safety in mind. We’re committed to helping you offer the best service and make safety a priority. To develop an emergency procedures plan and review with employees on a regular basis. To schedule routine training for employees. To educate yourself on industry trends and best practices regularly. Sidewalks and walkways should be well maintained. Where necessary, ensure handrails are in place and in good condition. Parking lots should be even with curbs marked and painted. Entrances and exits should be clearly marked and have appropriate lighting. Doors used for deliveries and disposal of garbage should be locked when not in use. Emergency exits should be easy to access from the interior and exterior. Keep a record of all maintenance, including snow and ice removal. Document weather conditions, date, time and who completed the task. Inside, it’s important to identify possible hazards and reduce risk of injury or accident whenever possible. Keep aisles free and clear from any clutter. Clearly identify where patrons are not allowed. Use signage to mark any possible slip, trip and fall areas such as ramps, raised doorways or stairs. If installing any mats or carpets, secure properly to ensure they remain flat. Establish routine maintenance of housekeeping tasks such as cleaning bathrooms and keep a log of when tasks are completed. Check fire sprinkler systems and fire extinguishers and provide employees with proper training on each. Consider an audible door detector which alerts employees when a person enters an establishment. Gutter and roof drainage systems are an important part of all roof systems and require proper maintenance. However, they are often overlooked and when they are not taken care of can lead to serious problems. Inspect and clean your roof drainage system and after any roof-related contractor work. Regularly check for and remove any debris or standing water that may have accumulated. Keep trees trimmed and away from the roof. Ensure downspouts funnel water away from the building.